Oni Seed Co's Beach Wedding is a regular marijuana seed that comes from joining two magnificent varieties such as Wedding Cake and Tropicanna Cookies. 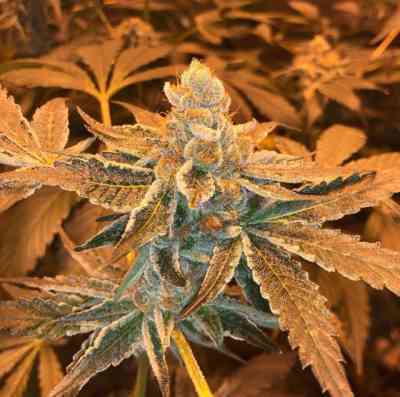 The result is an Indica-dominant cannabis strain that produces large amounts of resin, just like for a wedding! Beach Wedding adopts the dark purple color and the delicious cookie dough and orange flavor of its Tropicanna Cookies genetic line. The Beach Wedding plant stands out with its wide fan-shaped leaves that need to be removed from the beginning of flowering so that light penetrates all parts of the plant. It will be ready in 70 days. Beach Wedding is a variety of cannabis that reports large yields and massive extractions of hashish.